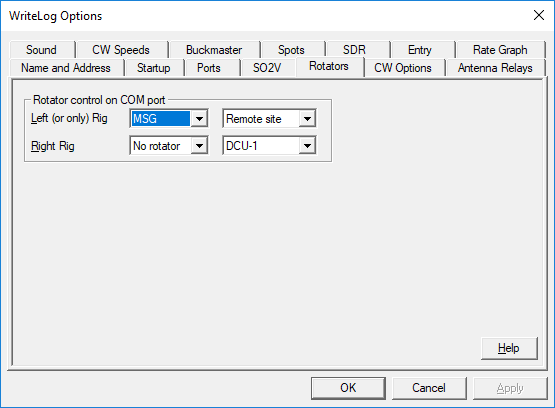 Any rotators configured at the remote site can be commanded from the control set after you setup this dialog under Setup/Ports. The Remote site setting for Rotator control is only available at the control site. Using it causes any rotator command at the control site to be forwarded to the corresponding rotator at the remote. Like with rigs, if you have a virtual com port setup instead, you may configure this dialog to talk to it instead of to the WriteLog remote.